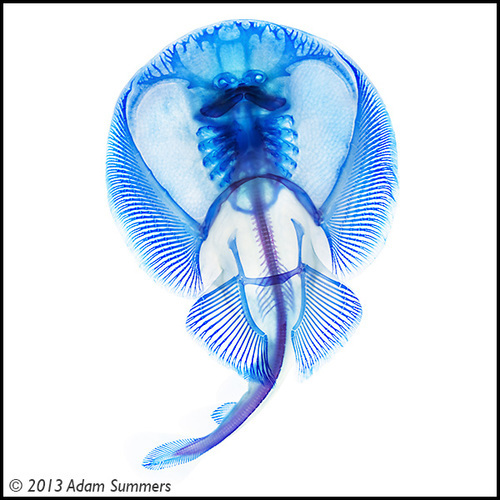 Electric ray- cleared and stained to show cartilage (blue) and mineralized tissue (red). Rays are cartilaginous fish. You do the math, says Beel. (Source: Adam Summers.) Click on image to embiggen. 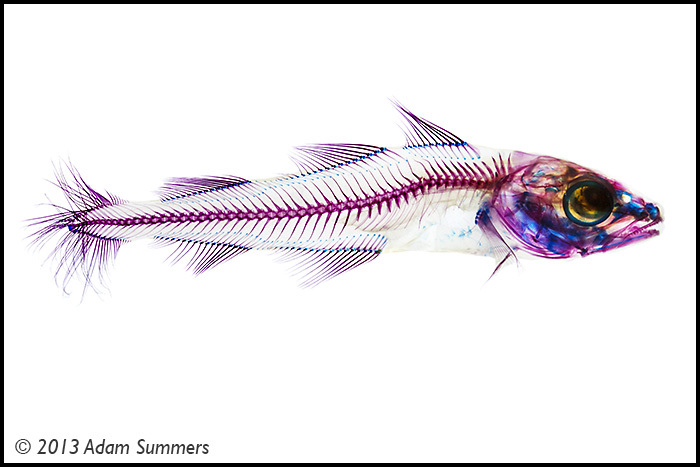 Beel has found two recent presentations of fish photographs that are presented, rightfully so, as art. Please friends, allow Beel to share these presentations. Adam Summers, a professor at the University of Washington’s Friday Harbor Labs, has a series of photographs, accompanied by the poetry of Sierra Nelson, now on display at Seattle Aquarium. The fish were prepared using standard histological methods that clear the skin and muscles, allowing cartilage and mineralized tissue (i.e., bone) to be stained, viewed, and photographed. Standard techniques, but they are used masterfully by Summers. The exhibit, entitled “CLEARED,” runs from 1 December 2013 through “Spring” 2014. Fourteen images, including the two shown here, are posted at Picturing Science: Visualization of data as art. Pacific cod- cleared and stained to show cartilage (blue) and mineralized tissue (red). Pacific cod are bony fish, hence the predominance of red in this image. (Source: Adam Summers.) Click on image to embiggen. Arie van’t Riet is a physicist who takes x-ray photographs of natural scenes and then colorizes portions of the resultant images. 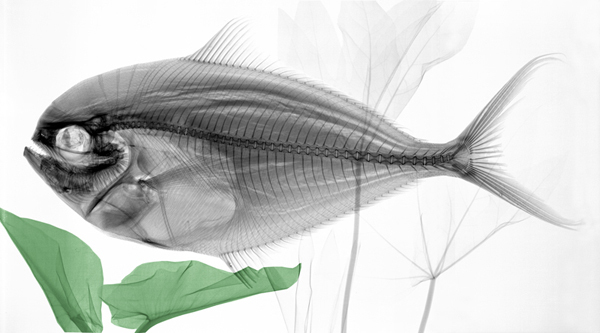 The results are striking and are presented in a gallery on his website, X-ray Photography of Nature. Fortunately, among Arie’s subjects are fish. 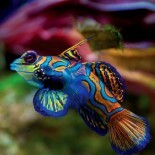 Unfortunately, his gallery presents images of only two fish (shown below). Enjoy says Beel. 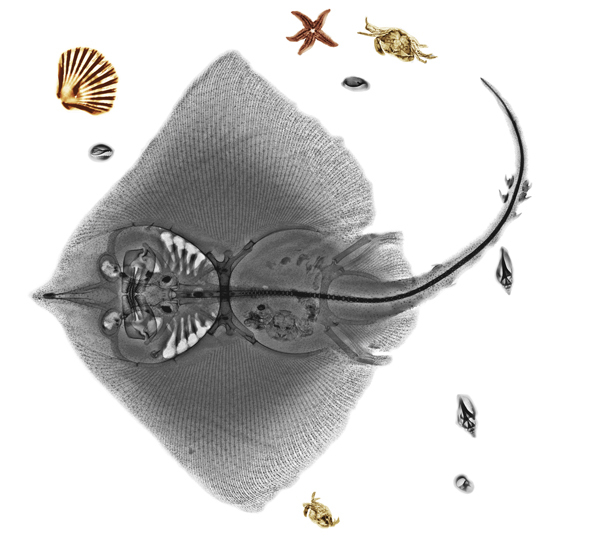 Colorized x-ray photograph of fish. (Source: Arie van’t Reit.) Click on image to embiggen. This entry was posted on December 25, 2013 by denstormer in Collections, Natural History and tagged marine fish, Neat photographs, USA.